Relax, it’s Calistoga. For centuries, people have flocked to the region to let the local hot springs soak their ills away, and today the three Ms — massage, mineral waters and mud baths — are still a don’t-miss. Brannan Cottage Inn is within easy walking distance of many spas where you can recharge with your own personalized health and beauty regimen. Our concierge can help you put together the perfect spa day. We are proud to partner with Baths at Roman Spa for an authentic Calistoga geothermal hot springs spa experience, an easy five minute walk from the Inn. 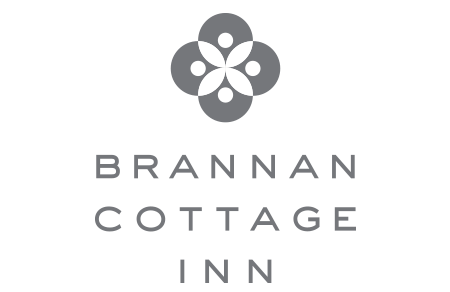 Mention you’re a Brannan Cottage Inn guest when making your spa appointment and get a 10% discount. Advance reservation required (not valid on walk-in appointments); call 707-942-2122 to book. Have fun. Escape. Be indulgent. Try something new, dissolve in our mud bath, soak in our rich mineral water, and complete the relaxing experience with a soothing massage! Take the plunge. Baths at Roman Spa welcomes Brannan Cottage Inn guests to indulge in the unique personalized healing spa experience assisted by the earth’s natural elements. A Calistoga tradition, located in the beautiful Napa Valley! Be adventurous, and try something new! The world famous mud baths of Calistoga will relax you while removing toxins and bringing relief deep to your muscles. The Baths at Roman Spa is one of two places in Calistoga where couples can enjoy the experience in a private room. Whether it is a girls’ weekend or a romantic getaway, the mud baths are not to be missed!! This 60 minute treatment begins by immersing in a bath of mud, a combination of Calistoga volcanic ash, natural peat & natural geothermal mineral water from our springs. Next, slip into the mineral bath to deepen the euphoric feeling of rejuvenation. Lastly, cool down in our relaxation room. Soak in a private mineral bath filled with our very own geothermal water that bubbles up from deep in the earth below our spa. Afterwards, cool down in our relaxation room. Reap the benefits of a nurturing massage that will enhance relaxation as well as rejuvenation in the skilled hands of our therapists. Massages that are 50 minutes or more may be shared side-by-side in our couples room! Romantic Adventure for Two – Take the Plunge! Please click here for a Google map or directions.